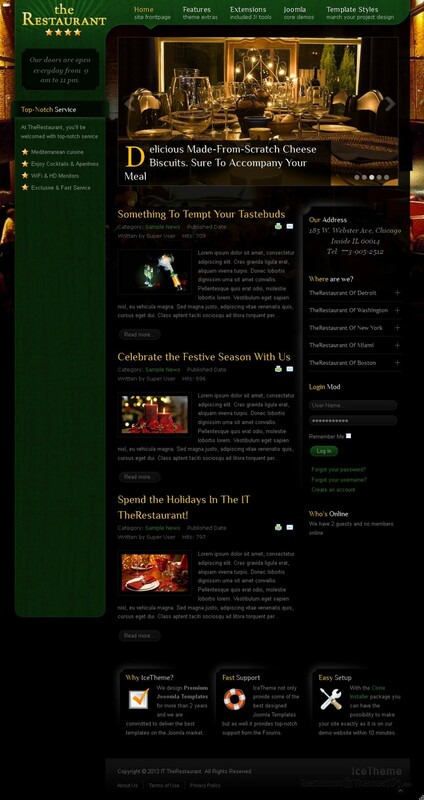 If you are in a need of a great looking restaurant template for Joomla, this could be a real jackpot. 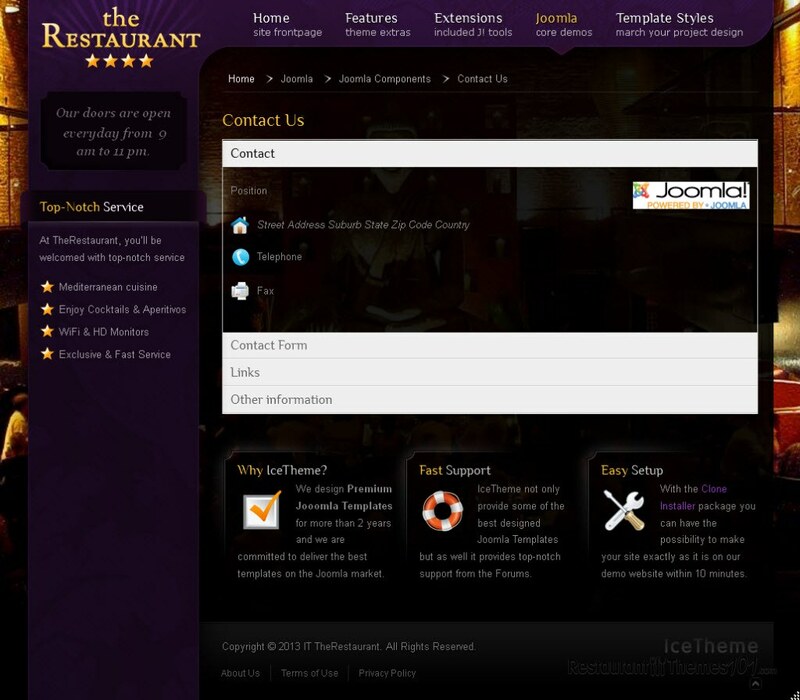 IT TheRestaurant is a template with a unique design and many useful features, and IceTheme developed it. When it comes to installing and customizing, this template makes sure anyone can use it, not only skilled web designers. The layout was built to make use of every inch, no matter if it’s content scrolls of fixed elements. Most of the elements are accessible directly in the user point of view so you will be able to see how everything is going to look the second you make a change. For increased performance, a special new plug in was built in, with a purpose of giving you endless customization possibilities for each menu item and create yourself a website that looks just as you like it. There is a sample menu list included to guide you and help you display your own food items easily. Each menu item can have its own background and style. A nice slider is added to the homepage, and it makes the perfect spot for showcasing your quality photos. This is where you can attract your visitors’ attention and point it in the right direction. Anything you put in a slider will automatically become your guests’ main focus, so make sure you use it to make them hungry for your delicacies! This template gives you a possibility of interacting with your visitors in a great way. They will be able to create their own accounts and login as they please. Your working hours will also be nicely displayed so your visitors can always know when the best time to visit your restaurant is. You will also be able to display your address and photo and give everyone your restaurants’ location. IT TheRestaurant is a Joomla restaurant template that is very easy to install, even easier to customize and you will end up with a perfectly functional and attractive website in no time.